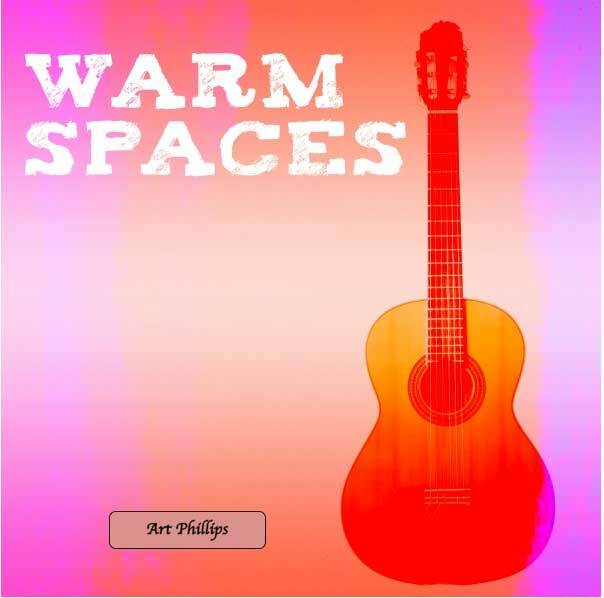 Album description: Picturesque and panoramic themes & soundscapes for warm, touching and uplifting stories. Album keywords: panoramic, warm, carefree, nostalgic, uplifting, dreamy, sensitive, evocative, caring, sincere, loving, heart-tugging, joyous, touching, emotive, floaty, gentle, airy, beautiful, stirring, arousing, calm, still, serene, loving, wide-open spaces. 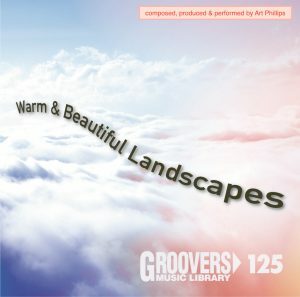 Album styles / genre / usage: instrumental, organic, acoustic, landscape, wide-open spaces, uplifting scenes for television, film and documentaries. This came as a wonderful surprise and is an absolute honor to receive a nomination for ‘Best Production Music Library Jazz Artist’ from the PMA (Production Music Association) in the USA, 2018 MARK AWARDS. 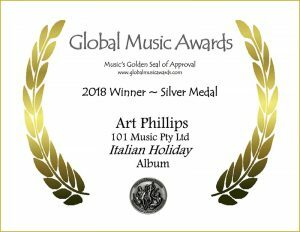 The album release where this nomination aligns to is from my production music library record label ‘101 Music Pty Ltd’ that created ‘ITALIAN HOLIDAY’ (101M032) – composed, produced & performed by myself, Art Phillips/Arturo DiFilippo (electric and acoustic guitars). This is a special distinction for me and I am thrilled to receive this nomination, especially as the album is a tribute to my father who was a great guitarist from Erie, Pennsylvania (USA), also named Arturo Phillips, and how I learnt from the age of 5, playing the old classic Italiano songs together with my grandpa on mandolins, my Dad and I on guitars – playing in nonno’s kitchen many a night per week all through my childhood. 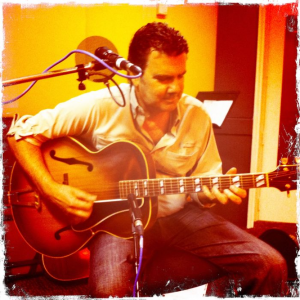 On this project, I played my fathers ‘1937 Gibson L-12 guitar’ with a classic ‘40’s DeArmond’ floating pick-up, and I also played my grandpa Antonio DiFilippo’s ‘1942 Gibson A-40 mandolin’. 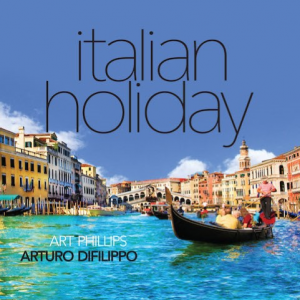 DiFilippo is my heritage family name, hence the release name with Arturo DiFilippo as the tribute. I thank my father for his inspiration, love and passion with music, and I also gratefully thank and acknowledge the Production Music Association (PMA) for all that you do for our industry on an international level. 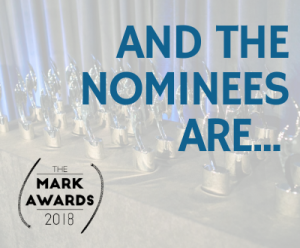 In particular, I acknowledge the late Andy Mark for the creation of ‘The Mark Awards’, and thank all the judges who put in an extraordinary amount of time and expertise into the awards system each year. Quote: “Art, I listened to your Italian album ‘Italian Holiday’ (101M032), beautiful work – I felt as if I were in Italy. ‘Amore’ is especially gorgeous”. Barry Manilow – vocalist & recording artist, songwriter, music producer & arranger (June 2018). Thank you for your friendship and continued support of the ‘101 Music Pty Ltd’ ® catalog. Art Phillips was recently honoured with the title ‘Adjunct Professor’ for his extensive work in academia and his prolific career profile in the music industry as a music composer, producer, arranger/orchestrator and business entrepreneur. The title was bestowed by UBSS, Universal Business School of Sydney, where Art lectures and adjudicates on the occasional basis. Phillips has written a series of ‘case studies’ for UBSS and sits on the Academic Board Senate as well as the Course Advisory Committee. Phillips is also the Deputy Chair of the Academic Board at The Australian Institute of Music (AIM). In addition, Art is responsible for writing and delivering the Master of Music & Media subjects, Music & Moving Image, Screen Music Analysis and Music & Media, for Excelsia College (Sydney, Australia). Art holds his ‘Master of Music Studies’ (Queensland Conservatorium of Music / Griffith University) 1999. In 2017, Adjunct Professor Art Phillips was honoured with a UBSS Fellowship Award, Universal Business School Sydney, “In recognition of his distinguished contribution to entrepreneurship in Australia”. 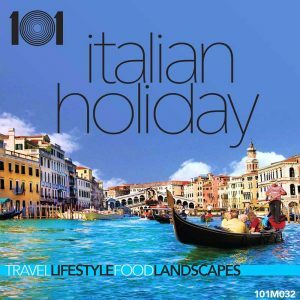 Positive and upbeat Mediterranean inspired acoustic themes for travel, vacation, food and scenic land and seascapes. 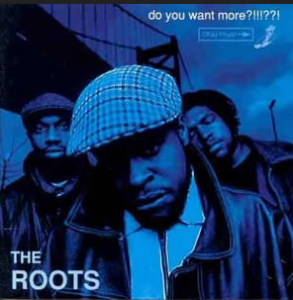 The Tonight Show starring Jimmy Fallon have licensed Art’s song ‘LAZY AFTERNOON’ as a featured selection which is used as guest ‘play-ons / play-offs’, featuring the original artists ‘The Roots’ (the Tonight Show’s house band). 101 Music creates original music designed to enhance any audio and visual production, and is headed by multi-award winning composer Art Phillips with credentials including acclaimed television series, feature films and advertising. 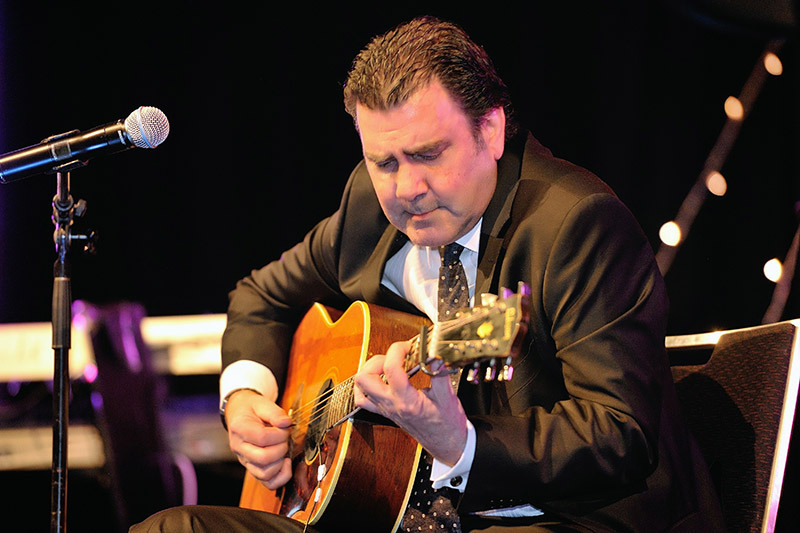 Art is a two-time Emmy winner, recipient of Gold and Platinum record awards and numerous screen music awards. With a team of multi-award winning composers, producers and sound engineers – 101 Music delivers music with a difference. 101– emotional solutions through music. A fun venue, a swingin’ band and was a joy to play with the these talented musicians and especially Mr Harmonica – Jim Conway, WHAT A LEGEND ! ….….a tribute to world renowned recording artist Demis Roussos, who sadly passed away on 25 January 2015 (1946 – 2015). 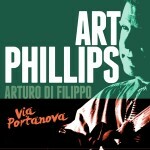 The recording artist / guitarist on this release, Art Phillips, was musical director, orchestrator, arranger and guitarist for Demis Roussos from 1980 – 1983, touring South America, Mexico, Australia, the USA (Greek Theatre performance of 1981) and recordings in both London and Los Angeles. 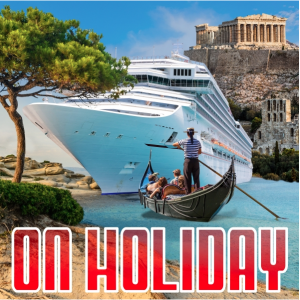 Chris Lloyds, vocals, and Art Phillips, guitar and mandolin, join together to record and release this special tribute single to Demis Roussos, who is sadly missed by his children, family, friends and fan base. His legacy will live for time to come. Thank you Demis for the opportunity to share the stage with you and for being a life friend to me thereafter….. (Art Phillips). 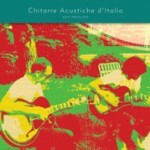 ‘Chitarre Acustiche d’Italia’ (Acoustic Guitars of Italy) – traditional Italian instrumental music that will transport the listener into the heart & soul of Italy, featuring acoustic guitars & mandolins performed by Art Phillips. The album is a tribute to Art’s father and his Italian heritage. 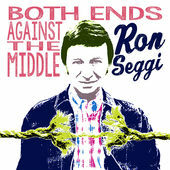 ‘Both Ends Against The Middle’ – Ron Seggi (APMD records) –Love is easy, until it’s hard. And then it all unravels like a rope. Written by Art Phillips and Bev Klingsick, produced by Art Phillips for APMD Records. 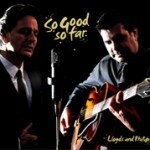 ‘So Good So Far’ – cool, classy memorable jazz standards featuring vocalist Chris Lloyds & Art Phillips on acoustic guitars. Art in concert at the TRISH MS BALL 2013, performing selections from the above CD, and a tribute to his lovely niece Natalie Dartnell. In August 2013 Art visited his mothers home town of Lorain, Ohio USA where he caught up with all his italian cousins and family. During the party Art, on guitar, and his cousin Bob Montalto, on trumpet and also guitar, and cousin David Perrier, vocals, had a fun afternoon jamming for many hours. Here is a snippet of one selection called I’M GONNA’ SIT RIGHT DOWN AND WRITE MYSELF A LETTER. See Resume & Biography for complete details. Arts’ production music is used on the television series: Cold Case Files, The Dog Whisperer, Dancing With The Stars (US), America’s Most Wanted, Oprah Winfrey, American Idol, Ricki Lake Show, True Hollywood Story, 60 Minutes, Good Morning America, The US Today Show, Celebrity Profile, Amazing Medical Stories, True Hollywood Story, Survivor, NYPD Blue, Best Damn Sports Show Period, Fox Sports promos (US), Bonehead Detectives, Current Affair (US), Inside the NFL and Homes With Style.